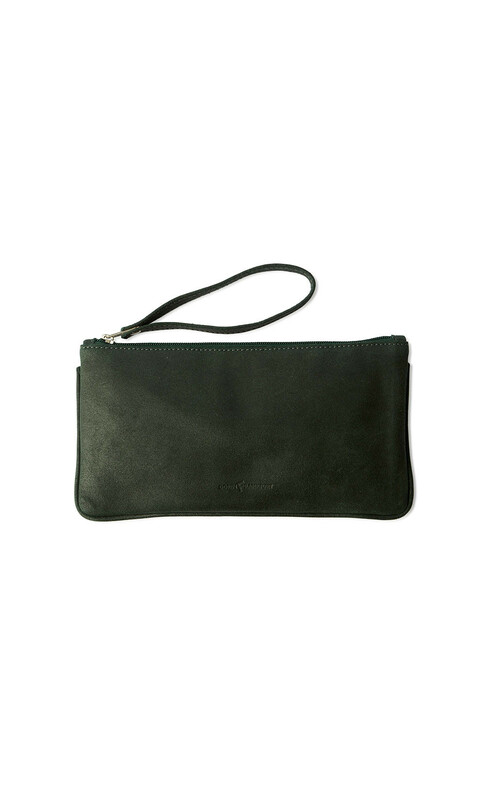 Dorin Frankfurt's new travel purse is perfectly sized for stowing cards, a compact and key - carry in hand as a clutch to keep essentials within reach. It's been crafted from textured black leather with the label's logo. Size information: Height 13cm, Width 26cm.